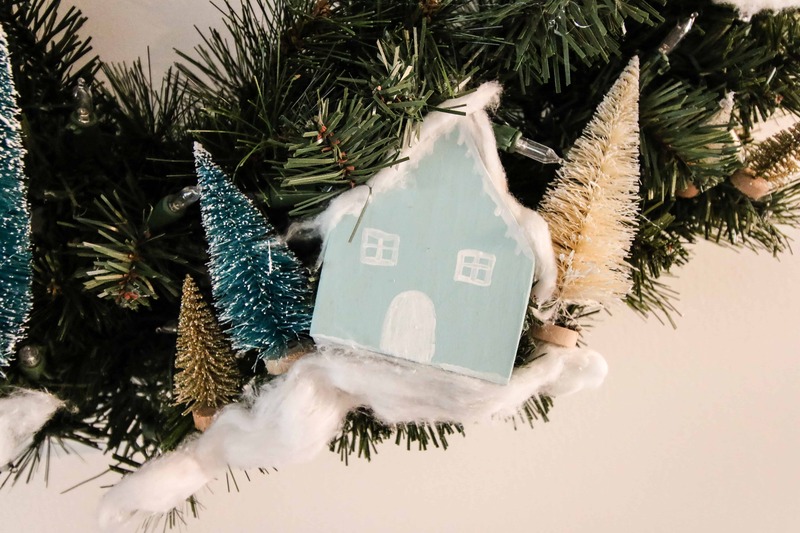 If you love the vintage look of bottle brush trees and little wooden houses, you will love this DIY Christmas wreath! 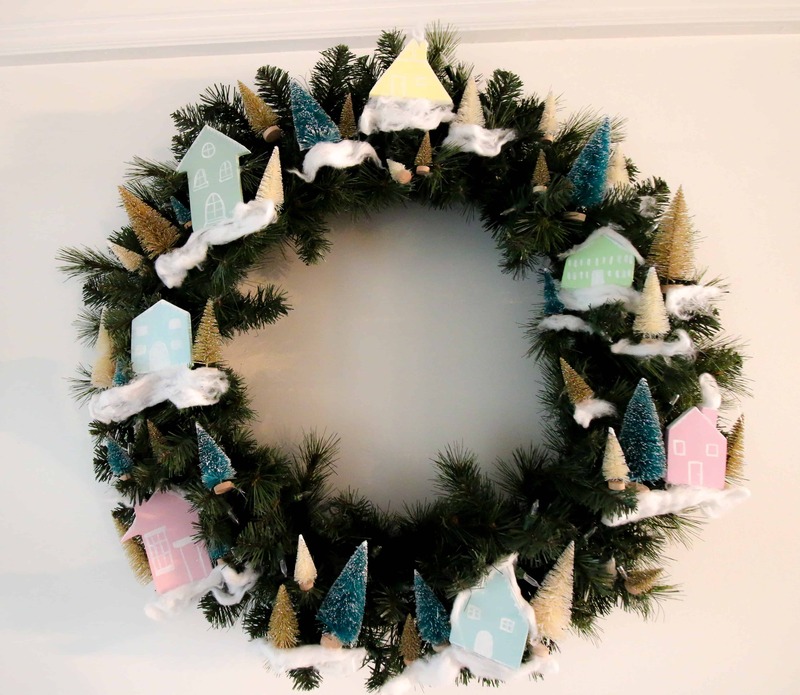 One of my favorite ways to celebrate different seasons is by changing up a wreath. This year, I decided that featuring a large Christmas wreath over our fireplace would be a great way to mix up our holiday decor. 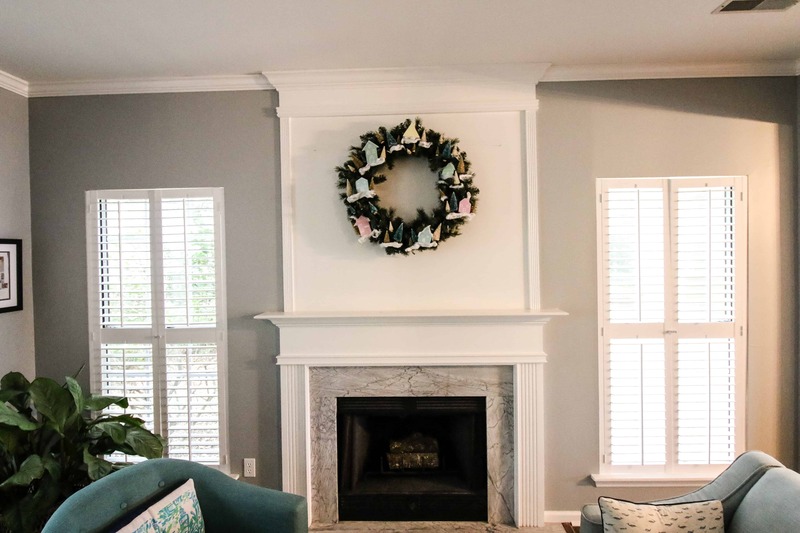 Here’s how we extended our fireplace to the ceiling with molding! I’ve had a recent fascination with bottle brush trees. I used a few on our mantel last year, but wanted to use them on a wreath, too. The bottle brush trees are from Amazon – I got two of these packs for the wreath. I decided to hang a 36″ pre-lit wreath, which I got from the Home Depot. I could have gone even bigger, but I left space on each side where I might end up hanging bows! We usually decorate with mostly blues, white, and silver for the holidays. However, this year I was inspired to bring in a few more pops of color. I went with pastels to reflect Rainbow Row here in Charleston and love the effect! I am going to try to bring these colors in more around the room with the decor. Sean said this wreath gave him Whoville vibes. I’m kind of loving that feeling and might mimic the look with some colorful house ornaments for the tree and something pastel on the mantle. What do you think? After Thanksgiving, I will decorate the mantle below this wreath for an even bigger effect. 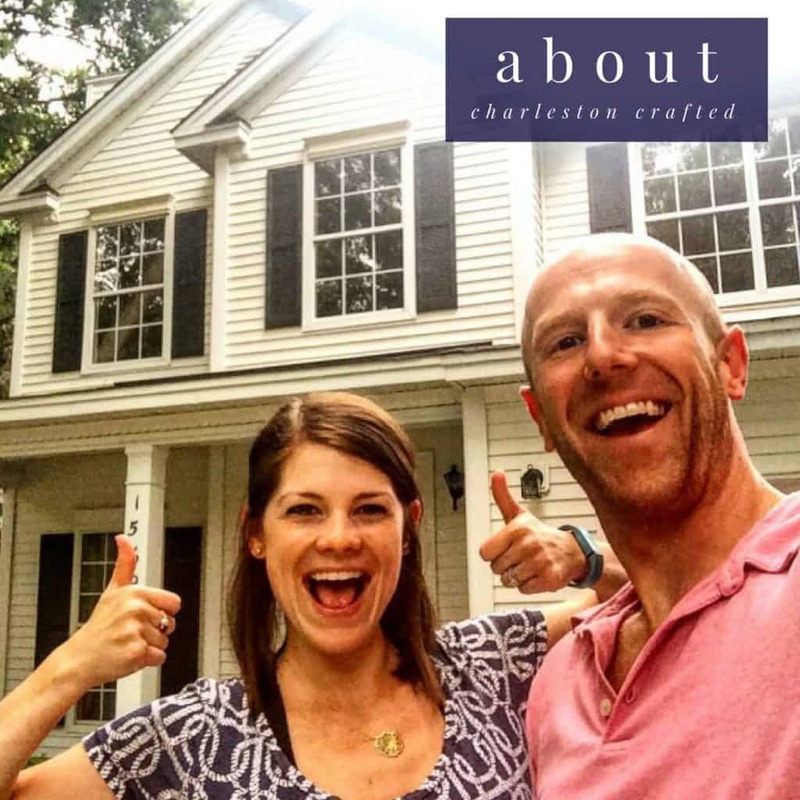 Be sure to come by and check it out! 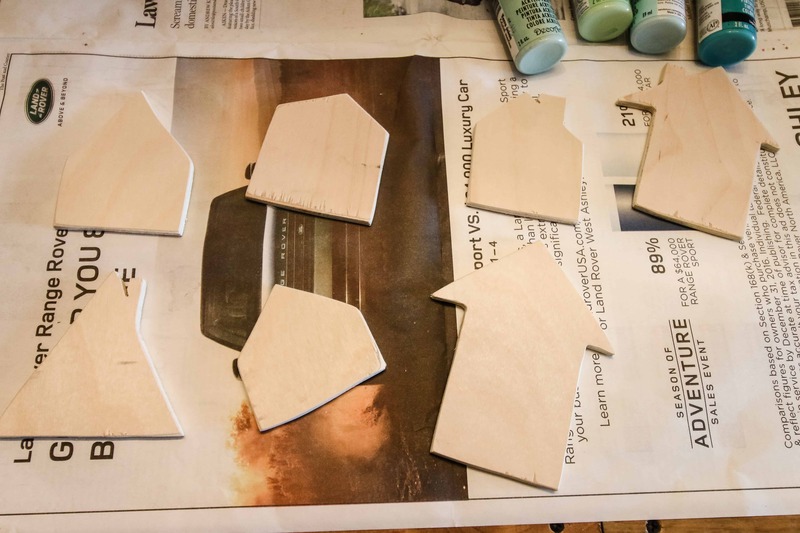 First, cut out your little houses from the plywood. Sean free handed them using the jigsaw on 1/4″ plywood. They are 2-3″ tall each. Sand the edges. 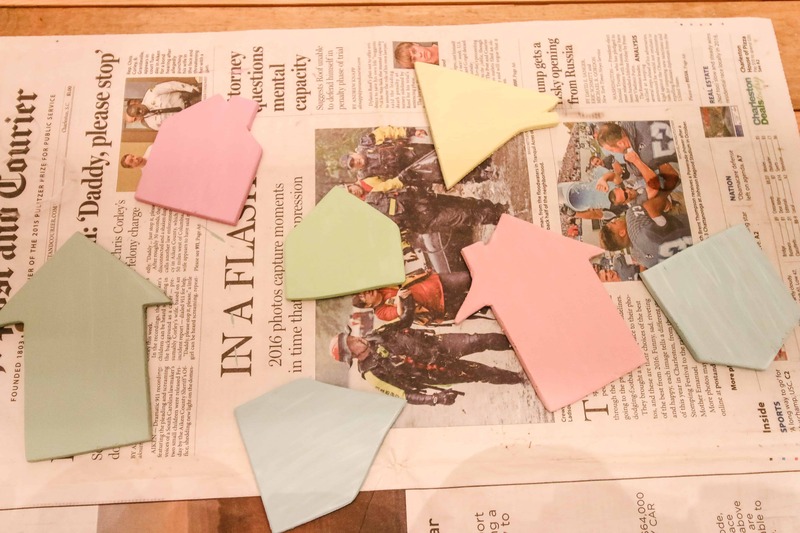 Use craft paint to apply 2 coats of base color to each house. 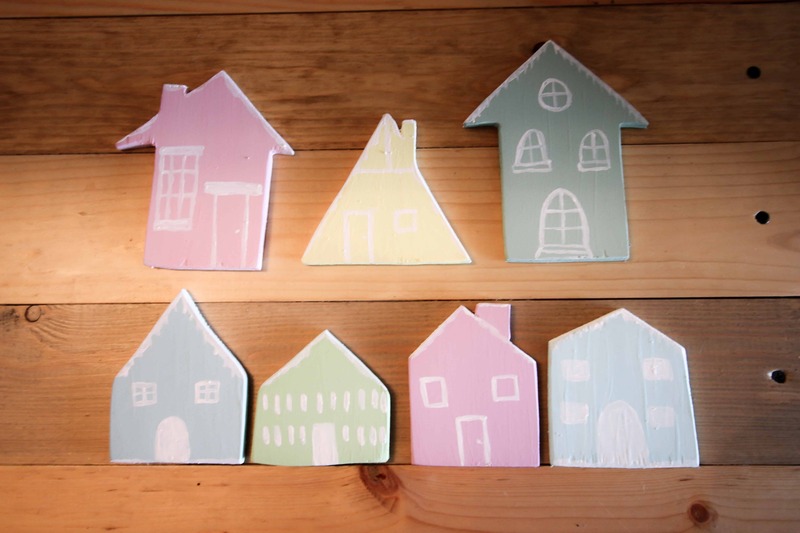 When dry, use a smaller paint brush to paint on details like a door or windows onto the houses. 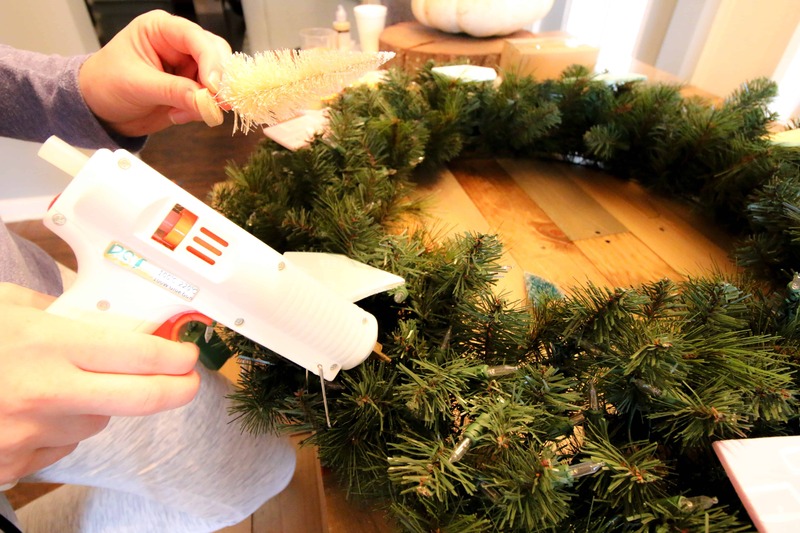 Add the houses to the wreath using a hot glue gun. Add trees around each house. Unroll cotton balls to create snow and glue that under the houses and trees. Hang the wreath and enjoy! 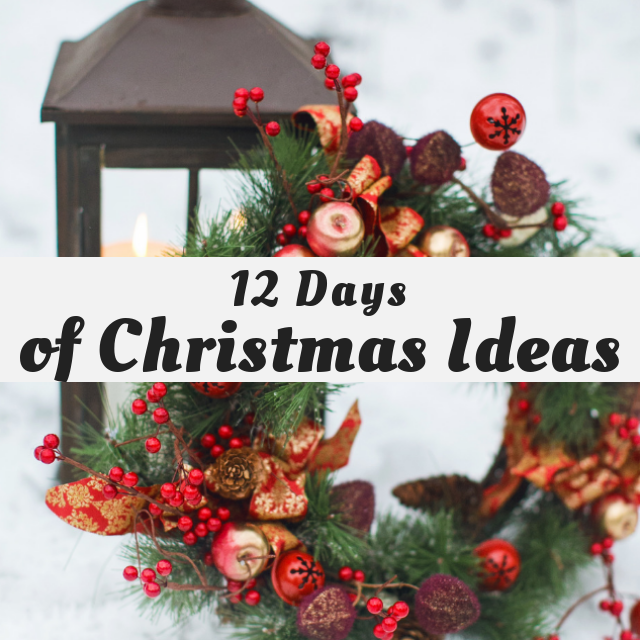 « 12 Days of Christmas Link Up! I love all those little houses and the scenes you made with them and the bottle brush trees. So cute!